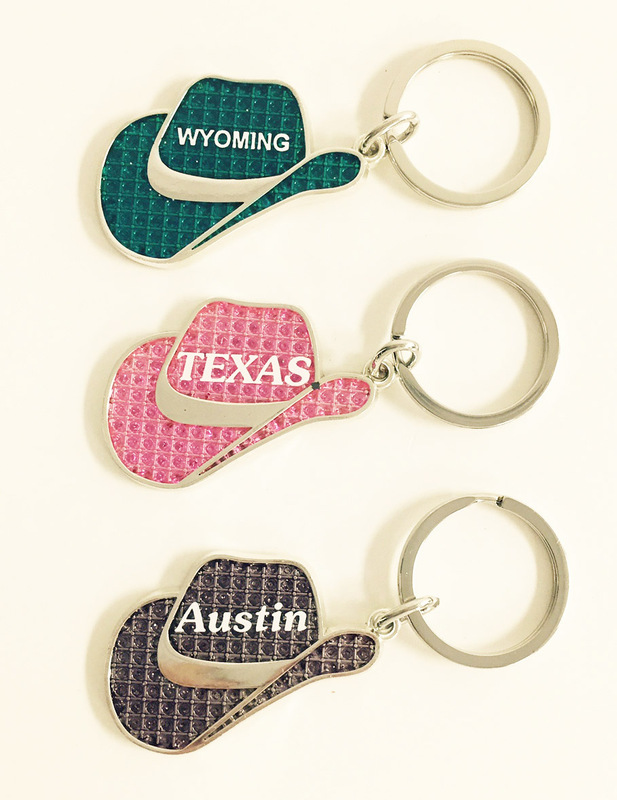 Our BLING COWBOY HAT KEY TAGS measure about 2" wide by 1 1/8" high. The key tags are connected to a 1 1/4" flat split ring. These come in a 3-Color assortment of BLUE, PINK, and PURPLE.